Two Nights Only — July 21 & July 22! Voted Best of Clark County Cannabis Stores two years in a row! This intimate evening of classic favorites feature the original arrangements of Peggy Lee and Quincy Jones, and Frank Sinatra’s “Live at the Sands” album. “My Kind of Town”, “Come Dance With Me”, “New York, New York”, and “Summer Wind”. 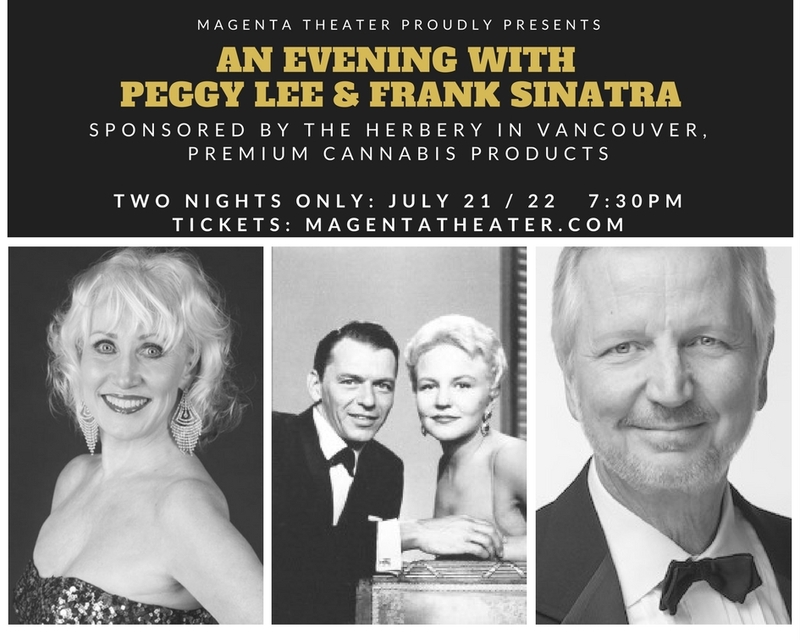 Get Your Tickets for An Evening With Peggy Lee and Frank Sinatra Today! Tickets will go fast for this extraordinary event- get yours NOW!